In 1993, Indonesia declared the Javan Hawk-eagle as their "National Rare/Precious Animal". 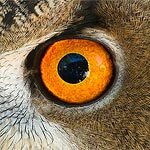 The genus of the Javan Hawk-eagle used to be Spizaetus, just like the Ornate, Black, and Black and White Hawk-eagles, which are found in the nootropics. However, scientists have since discovered that the genetic makeup of the Javan Hawk-eagle is different and therefore it belongs under a different genus - Nisaetus. 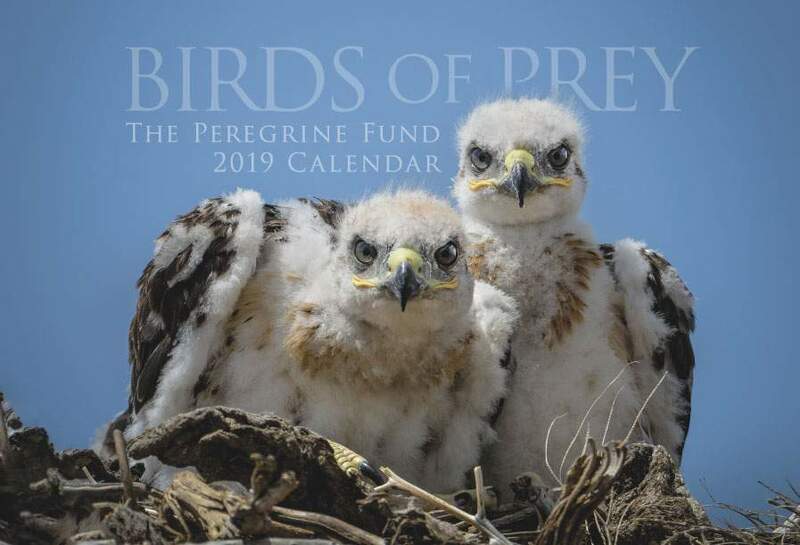 The Peregrine Fund doesn't work directly with Javan Hawk-eagles, but our efforts in scientific research, habitat conservation, education, and community development help conserve raptors around the world. We also supply literature to researchers from our avian research library, which helps scientists around the world gather and share important information on raptor conservation. As its name implies, the Javan Hawk-eagle is naturally found on the island of Java,which is located in Indonesia. In fact, this lovely hawk-eagle is found ONLY on Java and no where else in the world. However some recent, but unpublished records, also mentioned that the species was once seen in Bali. When a species is found in just one, relatively small geographic location, we call this species an endemic. Other examples of endemic raptors are the Galapagos Hawk, found only in the Galapagos Islands of Ecuador and the Ridgway's Hawk, which is endemic to the island of Hispaniola. Unlike the Ridgway's Hawk, however, which is able to adapt pretty well to different types of habitats, the Javan Hawk-eagle is much more reliant on a specific habitat type and its distribution is limited based on the availability of this habitat. As you might have guessed, the Javan Hawk-eagle is a forest species. In fact, it is dependent on intact tropical forest for its survival. This is where it lives, hunts and nests. Though during one study, biologists observed the Javan Hawk-eagle occasionally hunting, soaring or perching in other types of habitat including disturbed tropical forest, pine forest, agricultural fields (including tea plantations and rice fields) and forests of calliandra - a flowering plant in the pea family, it is important to note that all of these other habitats were located generally close to tropical forest habitat. Though this hawk-eagle can be found at many different altitudes, ranging from forests along the shoreline to 3,000 meters above sea level (masl), it is more commonly found in a range between 500-1,000 masl. This means that its range is even further limited - which doesn't give this species much wiggle room when it comes to finding a good place to call home. The Javan Hawk-eagle is a beautiful, medium-sized bird of prey. Though it isn't very colorful, especially when compared to the hawk-eagles of the New World (such as the Ornate Hawk-eagle) its coloration pattern, though subtle, is actually quite lovely. The Javan Hawk-eagle is a uniform rusty brownish-red color along most of its body, including its head, throat, breast and belly. It has a very tall crest, similar to the Ornate Hawk-eagle's, which is composed of thin black feathers tipped with white. It has a pale yellow eye and its back is a mottled rainbow of several shades of brown, tan, black and grey. Male and female Javan Hawk-eagles have the same plumage. Like many raptors, Javan Hawk-eagles are top predators – they hunt other animals for food but no animals hunt them on a regular basis. For most top predators, their main threat is humans. Top predators, such as the Javan Hawk-eagle, play an important role in nature by helping to control populations of prey animals and maintaining a balance in the ecosystems where they live. Apart from the fact that both the Ridgway's Hawk and the Javan Hawk-eagle are endemic species, these two birds also have something else in common. Sadly, both are found on the endangered species list. Scientists estimate that there are less than 1,000 Javan Hawk-eagles remaining in the wild. Their biggest threat is loss of habitat and wildlife trade. Recently, their natural prey - like squirrels and small birds - are also being hunted which affects the hawk-eagle's ability to find enough food to survive. Within any given species' habitat, there are four essential things it needs to have access to in order to survive: food, water, shelter and space. In the case of the Javan Hawk-eagle, they find these things only in and near areas of intact forest. In fact, as you read about above, their populations are limited to these forests. Imagine now, what would happen to these hawk-eagles as the forest around them is cut down. It would be like having your neighborhood destroyed!! Sadly, in the case of Javan Hawk-eagles, their homes and neighborhoods (or habitats) are being cut down and destroyed, mostly because humans are creating agricultural fields where there was once forest. When this happens, Javan Hawk-eagles lose their homes and many, sadly, will lose their lives. Unfortunately, this beautiful bird is also threatened because it is being captured for the pet trade - meaning people steal birds from the wild to sell to zoos or private collectors. Scientists saw an increase in demand for Javan Hawk-eagles (meaning more people wanted them) after it was declared the national bird of Indonesia! This was a very unexpected and sad consequence of a law that was meant to protect the species. You see, before this declaration, many people probably didn't even know the Javan Hawk-eagle existed - or if they did, they perhaps didn't pay it much attention. But naming it the national bird drew added attention to the species and increased people's interest in having them in zoos and collections. When birds, or any animals, are taken from the wild, it not only has a detrimental affect on the species' population - especially when that species is already endangered due to other factors - but those animals suffer greatly while in captivity. Imagine what it would be like to live your life in a cage - never getting to go outside, or to spend time with friends or family, or to do any of the other things you like to do. Wild animals, when in captivity, never get to exercise, or hunt, or find a mate! It is a very sad existence. But thankfully, you can help! Never capture wild animals and keep them as pets and tell your friends to do the same. Other threats to the Javan-Hawk eagle include uncontrolled fires and illegal poaching - or killing. The Javan Hawk-eagle is a stealthy predator. It often perches on a branch or other excellent vantage point - usually above the forest canopy - and waits for prey to pass by. When it spots what it hopes will be its next meal, it attacks! It takes off at a great speed and flies toward its prey with outstretched feet. It uses its strong feet and sharp talons to capture and kill its food. When not hunting from a stationary position, these eagles will search for quarry while soaring over the forest canopy. When they see something they want to eat, they must act quickly. They will drop from the sky onto an unsuspecting animal in a tree or, sometimes even on the ground. Javan Hawk-eagles are known to eat a wide variety of prey. Though almost 70% of their diet is made up of mammal species including monkeys, fruit bats, squirrels, tree shrews, and rats, they also feed on birds including woodpeckers and partridges. They also like to dine on reptiles, including many different snake and lizard species. Scientists believe that Javan Hawk-eagles are monogamous, meaning they stay with the same mate their entire breeding life. They also tend to use same nest for breeding from time to time if not disturbed. Similar to the Ornate Hawk-eagle, a pair of Javan Hawk-eagles usually nests every two years, rather than every year. When it comes time to build their nest, the pair will choose a large tree in undisturbed forest. Large trees provide these hawks with a good vantage point for hunting (after all, they will need to catch a lot of prey to help feed their growing nestling) and a relatively safe and protected area in which to raise their young. The nests, themselves, are quite large and are composed of small to medium sized sticks. After constructing the nests, the adults often line the nest with soft materials such as green leaves. The female usually lays only 1 egg, which needs to be incubated for just under 50 days. After the young chick hatches, both parents work hard to find food and feed their offspring. The nestling will stay in the nest for around 8-9 weeks before something very exciting starts to happen. At that time, the young will begin to "branch" - meaning it is getting itself ready for its first flight! In order to be in good shape for flying, the young hawk-eagle will first leave the nest by walking out of it and not flying. It will begin to scramble and climb around on the branches of its nest tree, helping it to learn balance and gain agility. To gain strength, the young hawk-eagle will wrap its strong feet and talons around a branch and it will hold on tight while flapping its wings vigorously. After a bit more practice, it will begin making hops or short flights in between the branches of its nest tree, until it is ready to make its first flight, several weeks later. After the young bird leaves its parents' territory, it will disperse relatively far away from its nesting site to look for its own territory and mate. 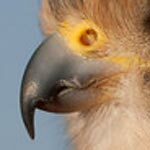 It usually takes 3-4 years before the Javan Hawk-eagle is sexually mature - or old enough to breed. The World Center for Birds of Prey offers fun ways to learn about raptors. Interactive activities, tours, interesting videos and a children's room with activities from coloring sheets and quizzes to costumes and a touch table are available for the curious mind. We also have several different birds of prey on display year-round, including Fancy, an Ornate Hawk-eagle, which shares some similar characteristics (body shape, tall crest) with the Javan Hawk-eagle. Come for a visit, where our knowledgeable staff and volunteers are on hand to answer any questions you may have about Javan Hawk-eagles or other raptors.